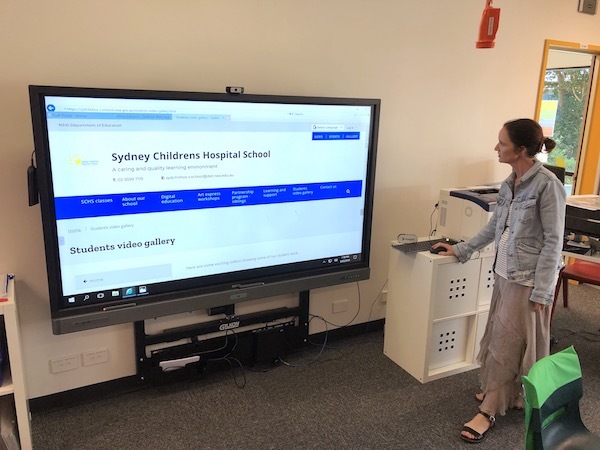 Sydney Children’s Hospital School has started 2019 with a skip in its step thanks to a significant classroom technology upgrade. Thanks to a donation from OfficeMax, the school’s classroom has as its learning centrepiece, a BenQ interactive display on a motorised Gilkon adjustable mount. The school plays an important role in the life of the Sydney Children’s Hospital. Kids can find themselves in the hospital for weeks or even months at a time, and thanks to the on-site primary school their education need not be entirely placed on hold. What’s more siblings of sick kids who are from out of town can also enrol. The heavy-duty Gilkon mount features one-touch operation of the electric lift. The mechanism is whisper quiet and totally safe from prying fingers. The Gilkon mount is manufactured in Australia and is stability tested in Australia using N.A.T.A guidelines. This entry was posted in Industry News and tagged education, fp7, hospital, school, sydney. Copyright 2017 © Gilkon Australia. All Rights Reserved.